Addi FlexiRoll Case for the addi® FlexiFlips! 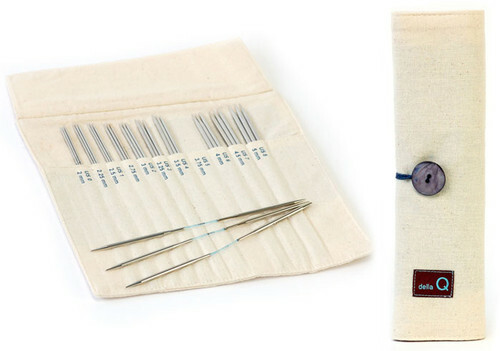 Meet the FlexiRoll … the only needle case designed specifically for the addi® FlexiFlips! 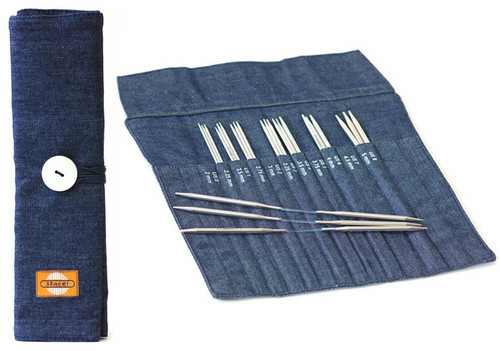 Note: Case does not include needles. The FlexiRoll was designed to be used in conjunction with both the Turbo FlexiFlips, or the forthcoming Bamboo FlexiFlips (available Fall 2018). Q: Will one roll hold both the metal flexiflips and the bamboo flexiflips, (like a set in each size and of each material), or would I need to get one roll for the metal ones and one for the bamboo ones?